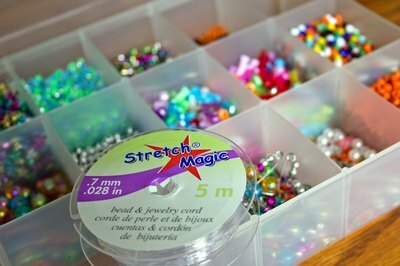 Stretch Magic cord is an elastic cording that is commonly used to make jewelry, such as necklaces or bracelets. Because Stretch Magic cord can be slippery, a simple knot may come undone after you string the cord with beads. One solution is to tie the Stretch Magic cord using a square knot, which will enable it to remain tied, preventing the beads from falling off of the jewelry item after it has been created. 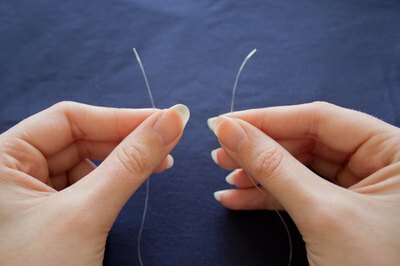 Hold the ends of the Stretch Magic cord in your hands, one end per hand. Allow the ends to stick out of the top of your hands. Cross the right cord over the left cord, and switch your grasp so that you are now holding the opposite ends in the opposite hands. Twist the cord on the left side underneath the other cord, twisting it so that the end is once again poking upward. Cross the end on the left side back over the end on the right side. 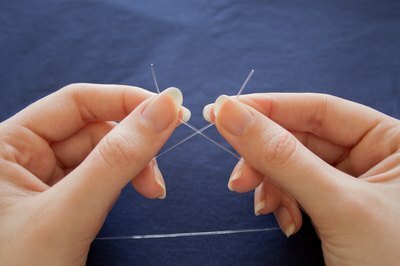 Twist the left end underneath the right end, tucking it into the hole that has been created in the process. 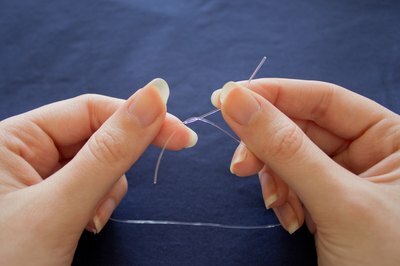 Pull the two ends tightly to create a square knot. A square knot will become tighter as the ends are pulled, making it an effective knot for slippery Stretch Magic cording.